The Susan and Donald Newhouse Center for the Humanities welcomes Zadie Smith to campus December 1 for the final installment of this semester’s Distinguished Writers Series. Fall dates have featured Colson Whitehead, Nathalie Handal, Robin Robertson, Etgar Keret, and Benjamin Percy, all in the program’s signature format: The writers read, have a conversation with a faculty member, then engage in an open dialogue with the audience. White Teeth won a number of awards and prizes, including the Guardian First Book Award, the Whitbread First Novel Award, the Commonwealth Writers Prize (Overall Winner, Best First Book), and two BT Ethnic and Multicultural Media Awards (Best Book/Novel and Best Female Media Newcomer). It was included in Time magazine’s “TIME 100 Best English-language Novels from 1923 to 2005” list, and has been translated into more than 20 languages. Smith’s book Changing My Mind: Occasional Essays came out in 2009. In 2013, her short story The Embassy of Cambodia was published in the United Kingdom as a stand-alone story in book form, selling in excess of 40,000 copies in the first year of publication. Her latest novel, NW (2012), was named as one of the New York Times “10 Best Books of 2012.” NW, which uses a series innovative narrative and framing devices, focuses on the stories of four young women growing on a fictional council estate in North West London. Although Smith calls NW her first book as an adult, it has been received as a remarkably successful work by an experienced and thoughtful author. 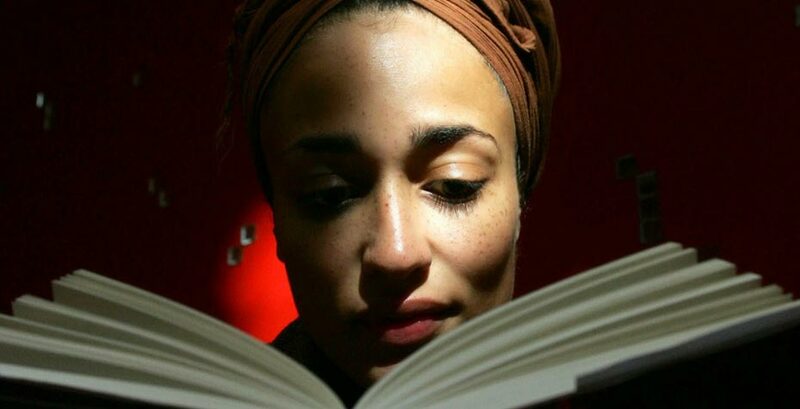 The Distinguished Writers Series, including Zadie Smith’s appearance, is free and open to the public. Guests are invited to join the Wellesley community for the Zadie Smith program in the Knapp Atrium in Pendleton East at 4:30 p.m. on December 1.